Our new spinoff of our hugely popular Tuesday "Best In The Triangle" Open Mic contest. Wednesday is the "light" version of open mic - acoustic performers, duos, spoken word, comedy, pianists, etc. Come on out - nightly winner will receive a $15 bar tab. Answers to your Open Mic questions! 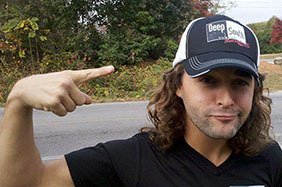 Click here to buy Deep South Merch!